When looking for ways to improve our oral health, we have collected an array of helpful tips for our readers out there. With the help of proper dental habits, you can maintain strong and healthy teeth for years to come. This not only helps you boast a great smile, but also saves you time and resources in the long run. We have consulted with our dentists in Los Algodones for the best tips to keep our teeth clean and gorgeous. Keep your toothbrush in good conditions. The first step towards having a good brushing is to have a good tool for the job. A toothbrush should be replaced every three months to ensure that it is in its top condition. You should always watch out for frayed bristles and make sure to pick soft-bristle toothbrushes. 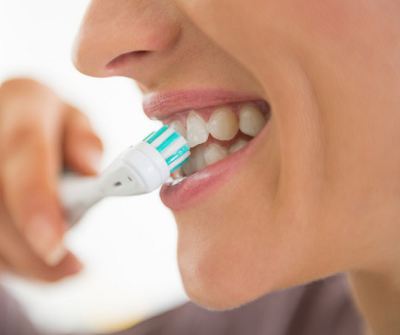 Spend at least two minutes brushing your teeth. This helps not only the toothpaste having time to do its job, it also gives time to be more thorough. This can be easily accomplished by listening to a music track as they generally last that long. Brush your inner cheeks and tongue as well. These are important spots to brush, as bacteria and food can get stuck there. Regularly brushing them help towards bad breath. Make sure to pick a toothpaste with fluoride. Fluoride is a mineral that occurs naturally in water. It helps strengthen our tooth enamel for the minerals it loses through wear and use. Brush twice a day at least. An important habit to maintain. Brushing once in the morning and once in the evening ensures that bacteria does not have time to stick around for long. Doing this ensures that plaque does not turn into tartar! Floss gently. Flossing should be done gently as to avoid snapping the thread. Also helps against harming your gums, which is a common thing to do if not done properly. Take your time. Just like brushing, it takes technique and time to get used to properly flossing. You should be going through every teeth, so if you wish to rush it, it might not be a good idea. Try different types of floss. There are waxes and unwaxed, threaded and unthreaded, thicker, thinner, and more! 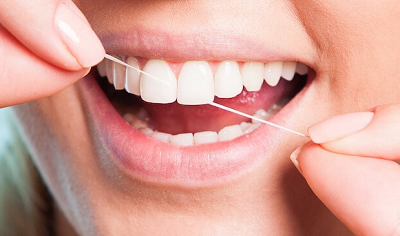 Finding a type of floss that works famously with your teeth is also key for great flossing. Drinking water throughout the day is one of the most helpful tips out there. Your body runs on water, so when the supply is short, one of the places that gets affected is our mouth. Dry mouth poses an issue as not producing enough saliva gives way to more bacteria activity. As a side-effect it also makes the person have a foul breath. Tap water also has added fluoride in it to help against tooth decay. As you know, we lose and regain minerals throughout the day, so in order to make the gain higher, it is recommended by Los Algodones dentist that we drink plenty of tap water. Last but not least, diet plays an important role towards our dental health. Limiting the consumption of sugary and acidic foods greatly affects the amount of damage bacteria can do in the long run. By limiting sugar, we are cutting short what bacteria use as fuel in order to produce plaque. And by limiting the acidity in food, we also keep our tooth enamel from temporarily weakening. It is also recommended to visit a dentists two times a year. This helps tracking your mouth progression throughout time, as well as diagnosing problems before hand so we can address them before they become something big. So if you are looking for cheap dental procedures with great attention, then you are in the right place! No Replies to "Essential Tips For Sparkling Teeth"